On Saturday, I made my way up to the high desert of the Antelope Valley. 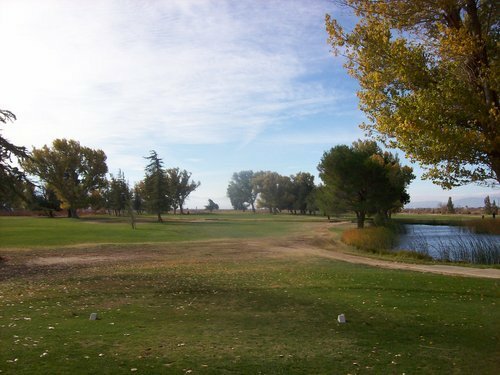 My main round for the afternoon was set for Muroc Lake at Edwards AFB, which I’ll review later. 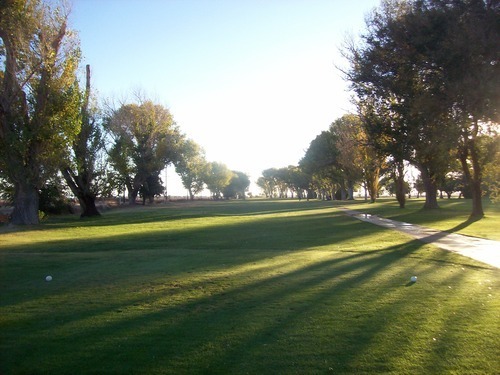 The morning gave me a chance to knock out a few of the area’s short courses. 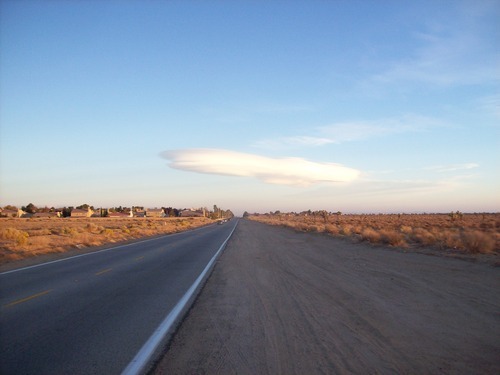 This is completely off-topic, but I did see this crazy cool cloud hovering over the valley as I was driving into Palmdale and thought it was worth sharing. Trust me, it looked way cooler in the early morning glow of the desert! I arrived here around 6:45 and there were only a few other guys out there that early. It can be pretty chilly in the morning in the high desert this time of year, so early is a good time to play if you don’t mind the cold. The price was $24 for nine holes with a cart. I played through a couple twosomes and otherwise zipped around the course easily. I had driven by Desert Aire once before, so I basically knew what to expect. It’s a pretty straightforward and simple layout. 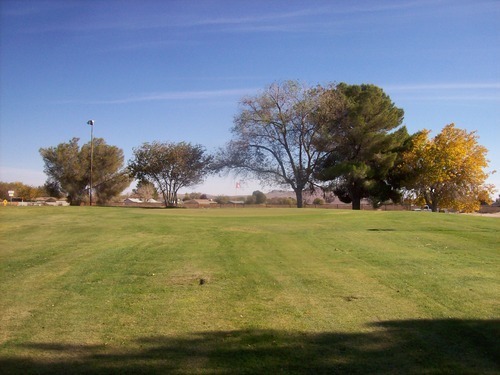 It is a regulation-length 9-hole course (par-36) with a typical mix of hole lengths. Overall, it’s pretty forgiving from tee to green and the greens are fairly basic, as well. The course was in pretty decent shape and much better than I expected this time of year. The tee boxes were serviceable. The fairways were mostly lush and good enough. There was not a whole lot of distinction between the fairways and rough as the edges just kind of fizzle out and go from patchy rough to bare sand. I was in a couple bunkers and they were fine. 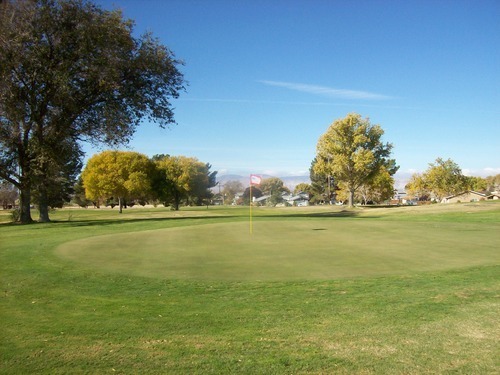 The greens were soft and rolling pretty well–a little beat up in places, but not bad at all. The only real issue here this early in the morning in the fall is the amount of dead leaves on the course. There was a dude with a blower clearing off the greens, but he’d only finished a handful of them by the time I came through. 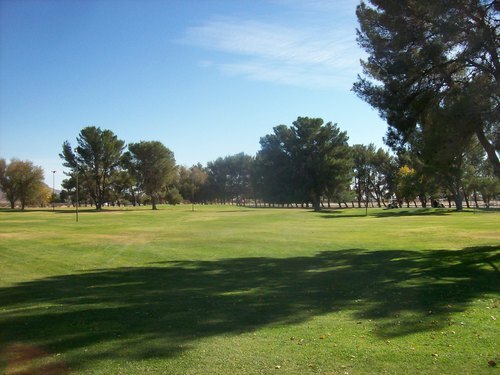 Overall, Desert Aire is a fine little locals’ course that doesn’t pretend to be anything special. 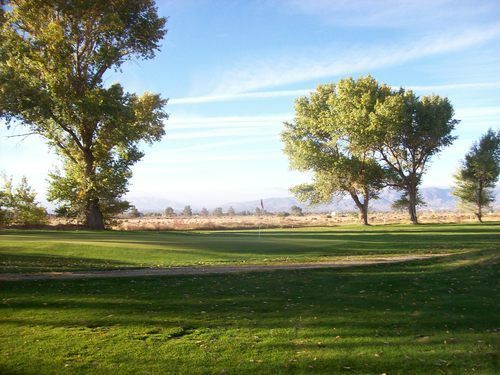 There aren’t a ton of golf options around, so this place serves its purpose well enough. Well, they paved over that original stretch of road because it was too much of a nuisance in the neighborhood where it was located. They found a different location in town (on G Street near the airport) and recreated the groove pattern. 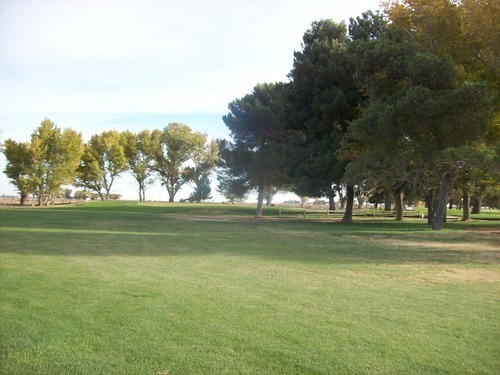 This course is definitely a little “out in the middle of nowhere.” Really, it’s not that far out of town, but if you’ve ever been to Lancaster you know that once civilization runs out, the desert roads get extremely desolate-looking very quickly. It was a little busier here mid-morning, but I was still able to get out right away. It was $23 for nine holes with a cart. I played through two groups early and then caught some more groups on the last couple holes, but still finished the round pretty quickly. From what I understand (and can certainly believe having played here), it rarely ever gets too busy out here. 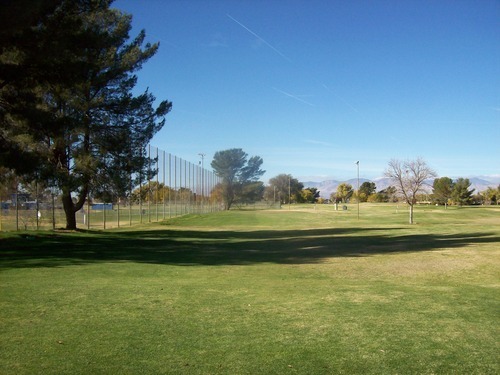 Like Desert Aire, Rancho Sierra is also a 9-hole regulation-length course. 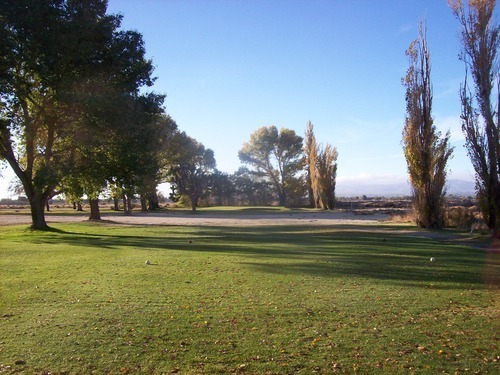 However, it is much shorter and plays to a par of 35, with just one really short par-5 and a number of small par-3s. 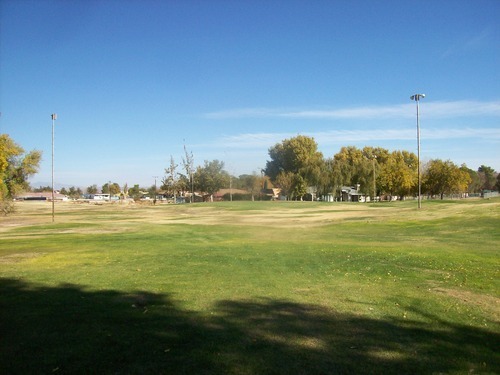 However, I did find Rancho Sierra a slightly more interesting layout than Desert Aire. 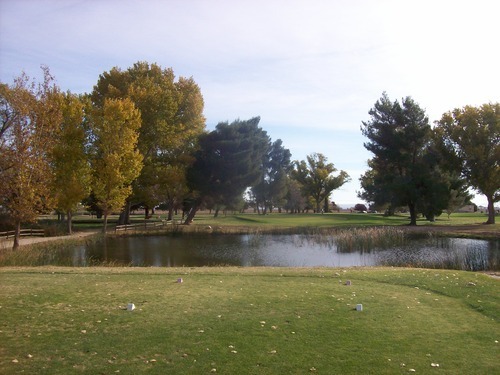 There are a few water hazards in play and a couple tricky doglegs, so it offers a little more fun throughout. 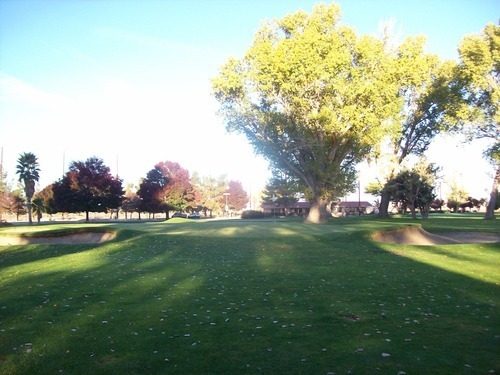 It still isn’t anything too special, but it’s another decent locals’ course in an area with limited options. 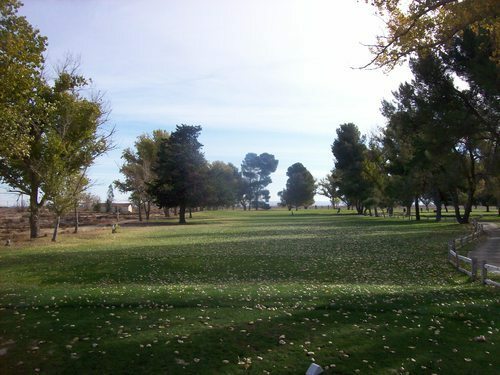 The course was in okay condition. It was definitely pretty rough around the edges, but also better than I would have expected this time of year in Lancaster. The tee boxes were manageable. The fairways had decent grass coverage, but were super shaggy and had lots of soft/muddy spots. The rough was very hit or miss and the bunkers were okay enough. The greens had some issues, but were overall pretty decent throughout. 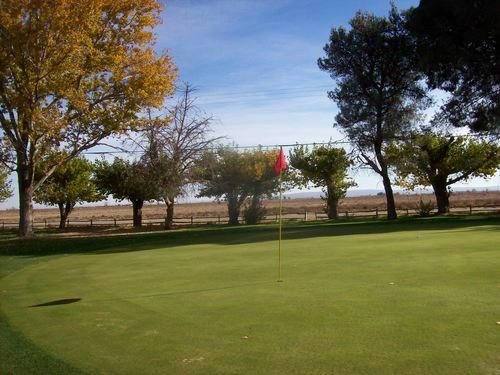 I wish I had known I was going to end up playing all of the short courses around because I certainly would have visited this place when I played Tierra Del Sol a couple years ago. 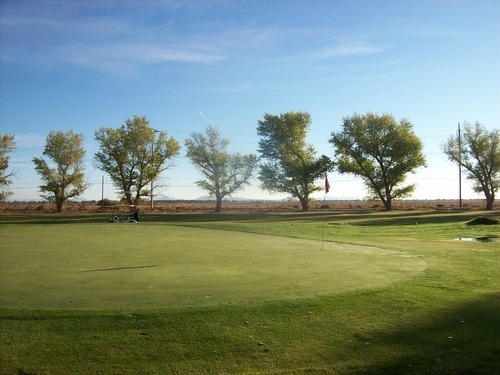 After all, these two courses are right next to each other in the very remote town of California City. 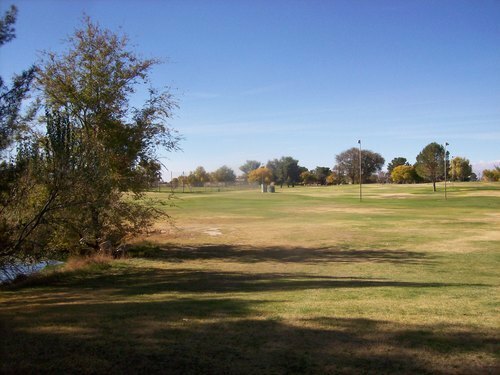 This is the municipal course and is an 18-hole layout with all-par-3s. It’s mostly a “pitch and putt” with a few mid-length thrown in to mix it up a little bit. The greens are tiny and pretty simple, and there’s not much trouble to get into at any point. 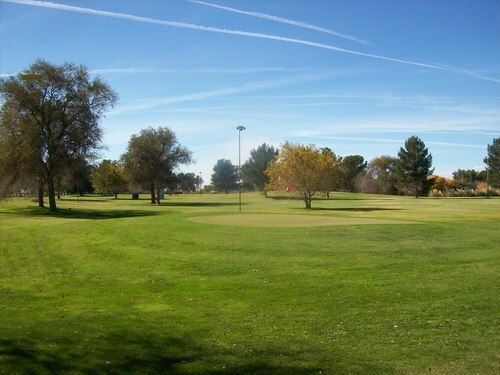 It’s a good beginners’ course or just a place to let loose and have some fun with your buddies. It was just $10 to walk, so that was a good deal for a Saturday round. I caught up to a members’ “tournament” consisting of nine players spread out in three groups, so I had no opportunity to play through. The whole round still didn’t take too long, but it was slower than it probably would have been if I showed up at a different time. The conditions weren’t too inspiring, but fine for a course like this. 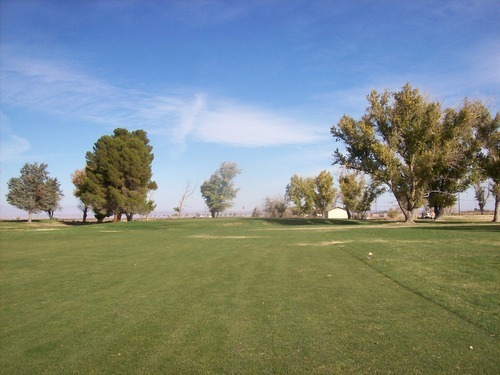 The tee boxes were inconsistent, but I usually found an okay enough spot to tee it up. The greens were decent. In between, most of the course was pretty dried out and brown, but also occasionally soft and muddy. Basically, if you miss a green, you are at the course’s mercy because you don’t know what you’ll get and it likely won’t be a very good lie to hit from. I don’t have much else to say about the California City course. There are only two options in town. 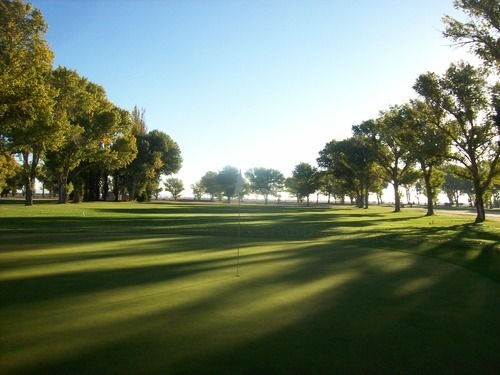 Serious golfers will much prefer the regulation layout of Tierra Del Sol next door. 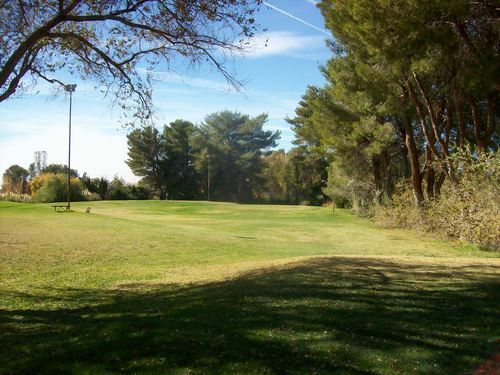 Beginners and more casual players might enjoy cutting their teeth at this little par-3 course.